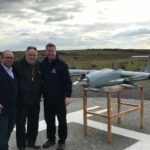 Brendan Austin, NSC Chief Engineer, representing The Nacelle group, attended the first demonstration flight of A-techSYN’s CGT-45 VTOL UAV at Spanish Point, Co. Clare yesterday. Wellington College win Shake, Rattle and Roll 2018! 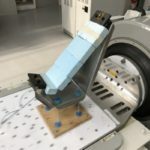 A great day was had with the competing teams, with additional activities provided by Sirius Science along side some fire testing demonstrations from the Resonate Team.